Two weeks ago, I made the rare, bold step of proclaiming this the “most Precious Metal bullish I have ever been.” The reason being, that never before had so many “PiMBEEB,” or Precious Metal bullish, everything-else-bearish, factors been present and/or imminent – politically, economically, and monetarily. Including, I might add, the increasingly large odds that “ ” Trump will ignite a major war, be it in Syria, Iran, or North Korea; in each case, involving our “biggest geopolitical foe” Russia – whose Prime Minister, in response to the onerous, and entirely unprovoked economic sanctions the U.S. imposed on it last week, had this to say about the current state of Russo-American relations. This, at a time when the global economy is as weak as at any time in the post-Financial Crisis era, with a potentially nation-destroying “debt ceiling” battle mere weeks away. Not to mention, as gold, silver, and platinum mine supply is anticipated to dramatically decline for the foreseeable future, whilst governments’ above-ground, available-for-sale “suppression inventory” is running on fumes – as global demand, led by the Eastern Hemisphere, remains stubbornly near all-time highs; as the money printing explosion that has enabled history’s largest, most destructive fiat Ponzi scheme – to the point of generating “dotcom valuations in a Great Depression Era” – is on the verge of going parabolic. Not to mention, as the Cartel’s “worst nightmare” – Bitcoin’s SegWit Activation – occurred barely 24 hours ago; whilst government market-propping has become so desperate, and blatant, it may very well be “called out” in the very near-term. With each passing day, it is becoming more and more obvious that the world’s “leadership” is taking us down the same “99%”-destroying path that all such “leaders” have traversed throughout history, amidst the terminal, malignant stage of dying fiat regimes. And none more so than the “reserve currency”-issuing United States – which, faced with the ultimate “lesser of evils” choice last November, elected a man who, after rapidly realizing “the swamp” could not be drained, is reverting from a brief flirtation with responsible leadership to “the Donald” we all know and hate. I.e., a narcissistic egomaniac, who may be one of the most confrontational people on the planet. Who obviously – and ominously – believes war is not just an acceptable option to resolve the conflicts he created, but the desired choice. Not to mention, a real estate developer who proclaims himself a “low interest rate person” – and better yet, the “King of Debt.” Which is why, just two days ago, I penned “the most Precious Metal bullish quote ever,” when he said the following. Comically, the government’s captively-owned “media arm” attributed yesterday’s last minute “Hail Mary” rally in the “Dow Jones Propaganda Average” to “news” that Trump’s “fire and fury” tweet was not an official White House policy, but an “off the cuff” remark. But make no mistake, there’s no Spin City or West Wing hierarchy in the White House – as perhaps more so than any Executive Branch in U.S. history, the Trump Administration is a one-man show – run by a ruthless, unyielding “CEO” who appears hell-bent on launching a major war, with one of the most geopolitically dangerous nations on the planet. That said, I want to refocus today’s discussion on the aforementioned actions one could, and should, take to optimize their portfolios, as the “eye of the storm” created by the historic market manipulation – of all markets – has provided a potentially life-changing investment opportunity. Which is, per last month’s “ultimate Precious Metal portfolio high-grading opportunity”; “perfect storage options to capitalize on historically undervalued gold, silver, and platinum”; and “valuation anomalies suggest historic Precious Metal lows” articles; the opportunity to optimize one’s physical Precious Metal portfolio, to capitalize on the expectations, fears, and/or constraints of your personal circumstances. Which, as Miles Franklin’s principals can tell you from decades of experience, differ dramatically across its diverse client base. For instance, some may want to take advantage of the historically undervalued silver/gold and platinum/gold ratios, at a time when physical premiums are historically low. Which, care of the aforementioned “perfect storage options” – i.e. our Brink’s segregated storage programs in Montreal and Vancouver – can be cheaply “financed” with the only storage programs we are aware of (certainly, in the Western Hemisphere), that charge not as a percentage of bullion value, but at a fixed cost per ounce. Conversely, some – like myself – may be attracted to the lowest numismatic premiums in at least the 28 years Miles Franklin has been in business; i.e., lower than during the Precious Metal bear market bottom in the mid-1990s. 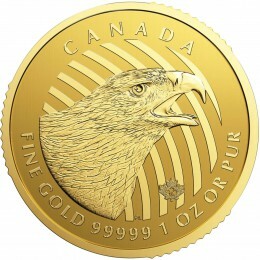 To that end, care of such “optimization,” my gold portfolio is now entirely comprised of premium, high-end products – like century-plus old numismatics; and “modern day numismatics” like the limited edition, .99999 fine Royal Canadian Mint “call of the wild” series. Which, care of Miles Franklin’s unique “Private Safe Deposit Box” program at Brink’s Toronto and Vancouver, I can store in a FATCA/FBAR compliant (according to the best of our knowledge) facility, in which only I have the keys. That said, the reasons people make swaps are often unrelated to “profit potential” itself – but other factors, like logistics. 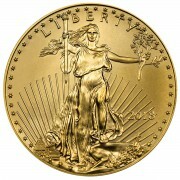 For instance, some people – particularly, those holding significant amounts of metal at home, may feel more comfortable “downsizing the weight” of their portfolio by swapping silver into gold or platinum; whilst others may do the same thing – not because of “weight fears,” but simplification of their estate planning process. Heck, some may want to sell some of their Precious Metals to take a position in the “twin destroyer of the fiat regime,” Bitcoin – to take advantage of the upcoming “ultimate monetary death cross” of cryptocurrency over fiat. Whilst conversely, some may want to take some of their windfall cryptocurrency profits off the table, to diversify into fellow “scarcity assets” like Precious Metals; that not only have a 5,000-year track record of unparalleled wealth preservation, but have been suppressed by a maniacal Cartel, which in my view will be either destroyed or voluntarily disbanded in the not-too-distant future, to their lowest-ever inflation adjusted valuations at a time when, as exemplified by Janet Yellen’s “ding dong, the Fed is dead” speech last month, Central bankers are on the cusp of history’s most hyperinflationary money-printing explosion. 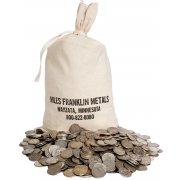 Miles Franklin staff, on average, has been in the Precious Metal industry for more than three decades. 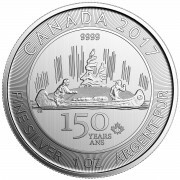 All are well-versed in the nuances of numismatic premiums; portfolio swap logistics (some will even travel to your home to help out); and dealing with the unique investment criteria each individual client is considering. Thus, if you are considering the “high-grading” of your portfolio in this, the most attractive “swap environment” the bullion industry has witnessed since the Precious Metal bull market commenced at the turn of the century, we humbly ask you to call us at 800-822-8080, and give us a chance to earn your business. P.S. PLEASE stop sending me the “ultimate FUD piece” regarding the “impending” SDR blockchain that will “enslave humanity.” As if Jim Rickards’ asinine SDR propaganda – of the “basket fiat currency” with not a chance in hell of ever occurring – isn’t moronic enough; the concept of a “centralized blockchain” is perhaps the dumbest, most illogical idea I have ever heard. TRUST ME, “blockchain” is not what’s changing the world; but instead, the Bitcoin blockchain because it is decentralized, and immune to government control. Andy, I agree with most of what you say apart from your comments re Bitcoin which I do not understand . You recommended voting for Trump , which I also agreed with rather than vote for H Clinton . We were both wrong – this guy is a raving nutcase , as is that prat who is running North Korea . I am 78 years old and I have never , ever seen the world in such a mess !!! I agree with your opinion that we should hold physical gold , which I have done for the last 7 years . Where do we go from here ?? ?